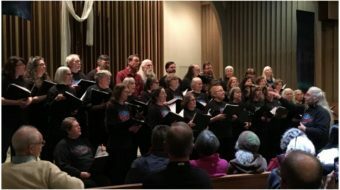 Across a wide variety of denominations and faith, dozens of religious groups have come out in support of the Employee Free Choice Act, united in their belief that the Employee Free Choice Act is a critical reform to rebuild a fair economy and restore to all workers the dignity and freedom they deserve. Calling the passage of the Employee Free Choice Act a “moral responsibility,” Interfaith Worker Justice (IWJ) and 38 other faith-based organizations, representing a broad and diverse coalition, sent a joint letter to members of the U.S. Senate and House asking Congress to act now and pass laws to protect workers’ freedom to form unions and bargain. The Employee Free Choice Act, they say, will strengthen not only individual workers, but families, communities and the economy that sustains us all. The Employee Free Choice Act presents us with an opportunity to pass legislation that is at once economically and morally efficacious for the people of our nation and our economy. Even as unions serve as vehicles by which poor workers lift themselves from poverty and into the middle class, the increased purchasing power of union members provides an effective and consistent stimulus for the general economy. When workers form unions, they have an opportunity to empower themselves and provide security for their families….At its best, a union is a community of women and men devoted to one another’s wellbeing and dignity, working together to secure their rights as employees, as human beings, and as children of God. The letter critiques the current status quo of labor law, which gives corporations too much power and subjects workers to abuses. This imbalance hurts workers and the economy, and the faith leaders say that the Employee Free Choice Act is a “sound and vitally necessary” change to the law in favor of workers. …today, as in the 1930s, crisis also creates the opportunity for a bold new direction—a New New Deal, potentially more inclusive of the nation’s diverse labor force than Perkins could have imagined. Might the nation’s churches, synagogues, mosques, and temples again have a role in rescuing a wayward economy? Many communities of faith are stepping up to take part at this vital moment. The wide support of religious groups shows the passion, conviction and momentum behind the Employee Free Choice Act.